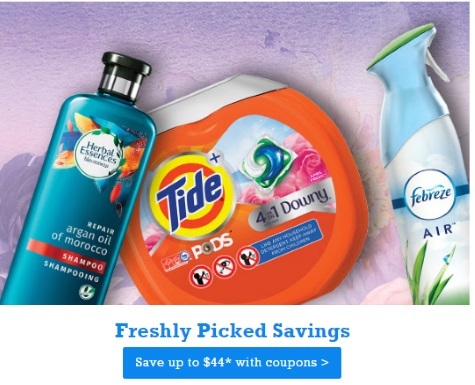 P&G has a bunch of new coupons available for fall! Save up to $44 off with these coupos. Coupons available while supplies last. Limit of 1 print per coupon per person. This coupon portal is powered by Smartsource and you need Java installed to print them. Sign up for P&G alerts to get Free Samples and coupons here.